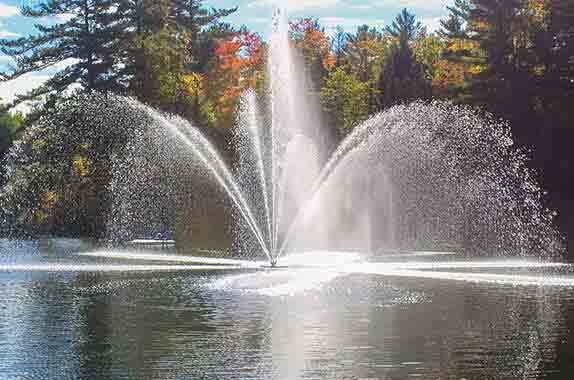 Overloads are used to protect your lake fountain or pond aerator motor from higher than normal running current. They can trip even on a motor that is in good running condition. A couple of common reasons for overloads to trip are if you experience a power surge or sag in power or if a pump becomes cluttered with debris. Once the problem is corrected and power is off you can reset overloads by pressing the reset button(s). Some reset buttons will have a need to be pressed firmly until an audible click is heard.